As a young woman, Maggie Watson was widowed and left almost destitute with three daughters to support. Earning a living left too little time for mothering, and the result is lingering tension in Maggie’s relationship with her three adult daughters, particularly her youngest Courtney. Nevertheless, all three daughters are committed to seeing that their mother has the wedding of her dreams as she marries for the second time after more than two decades as a widow. The greatest burden of coping with Maggie’s bridezilla tendencies and pink infatuation falls on Courtney whose relationship with her mother is already fraught. Maggie has always underestimated Courtney, and Courtney responds by keeping secrets from her family. They think that she is a maid at the hotel owned by her mother’s friend, with no ambition to do anything else with her life. They have no idea that her work at the hotel involves far more than a maid’s duties or that she is only two semesters away from a degree in hotel management. Her reserve extends to her personal life as well. Her steamy relationship with her boss’s grandson, a successful music producer, is also a closely guarded secret. Sienna, the middle daughter, is totally committed to her job as a donation coordinator for a women’s shelter, but she has a difficult time committing to a relationship. With two broken engagements in her past, she becomes engaged for the third time despite doubts that she and her fiancé have what it takes for a lifetime together. Meanwhile, Rachel, the oldest daughter, can’t get over her ex-husband whom she divorced just shy of their tenth anniversary. A talented hair stylist, she loves her job, and she is devoted to her eleven-year-old son. But she is blind to her passive-aggressive ways and fearful of trusting her ex’s attempts to reconcile. 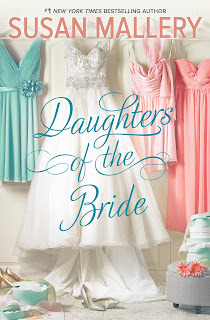 As the wedding draws closer, tensions increase between Courtney and her mother and among the sisters. The Watsons must resolve the problems of the past before they can move toward the future as a united family or move toward their individual HEAs. Susan Mallery returns to Los Lobos, setting of Someone Like You (2004) and Falling for Gracie (2005) for this women’s fiction story with strong romantic elements. She does her usual excellent job of capturing the emotional mix of women’s relationships with one another. 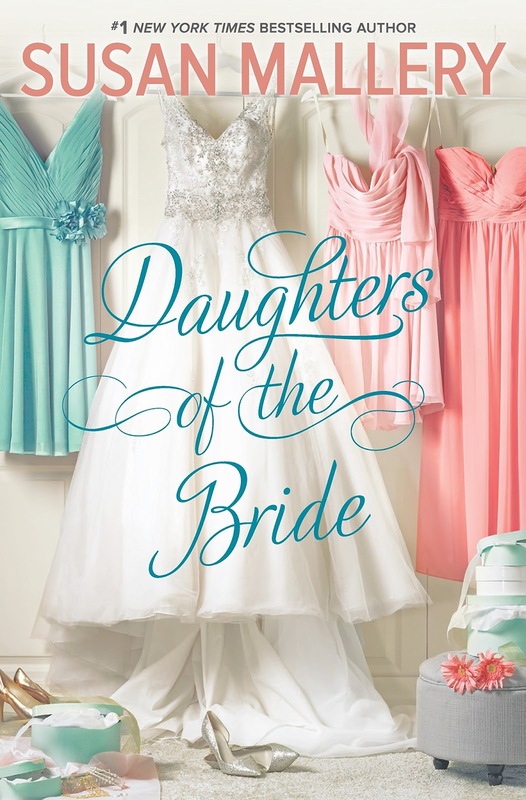 The women of Daughters of the Bride are all flawed, and reader sympathy may run thin at times. I found Sienna particularly difficult to like for much of the novel. However, the problems, both those within the family and those in the romantic relationships, have an appealing authenticity within the context established. The wedding planning provides some light-hearted moments as well as some tense one. I suspect that I will not be the only long-time Mallery reader who smiled to see Gracie Landon Whitefield as one of the wedding details. Overall, the book is a solid read. If you like women’s fiction that focuses on sister relationships but with plenty of romance as well, I think you will enjoy this one. This book has been in my radar since it was released but never got to a review that would actually made me want to read it. Thanks for your thoughts! I have the book. I just haven't read it yet. Great review. I really enjoyed this book. Matter of fact, it's in my top 10 this year (out of 109). And I loved our peak at Gracie--she's one of my favorite characters. What a great review! Susan Mallery can always be counted on to deliver a good multifaceted book. This sounds like another enjoyable addition to her work.